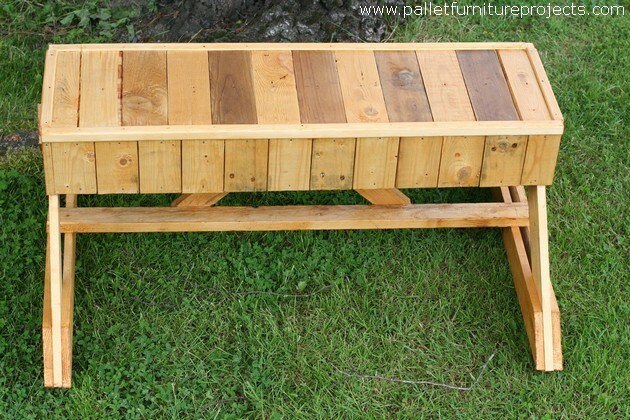 Ok, so after presenting you guys a number of pallet wood creations, I think this is some high time for a DIY pallet wood creation that would be a garden bench recycled with a shipping pallet. So as usual, when it comes to the supplies the only thing that we need primarily is the pallet wood. All of us have them in our backyards so grab a couple of fresh pallets, a staple gun, a miter saw, steel nails, glue, gloves and some other protective measures that would ensure your safety throughout the recycling process, so make sure before getting started. 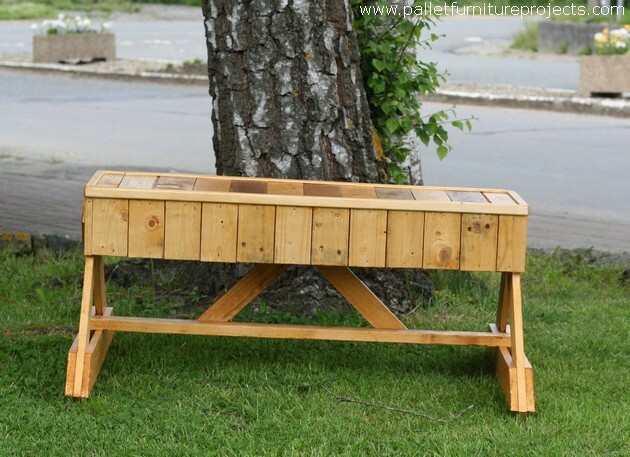 So the wooden pallet recycled bench that is closely affiliated with the green landscapes and other outdoor areas. The one that we are going to recycle today is designed exceptionally. As this is the legacy of this platform that we never believe in the repetition and we always resort to some ever new ideas. 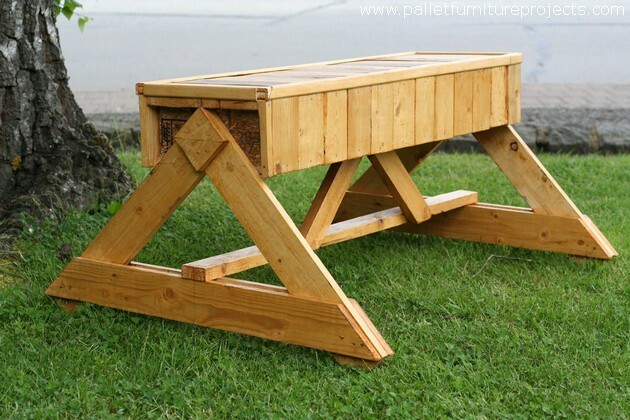 Same is the case with this recycled pallet wooden bench. And the best thing about this bench would be the design that you certainly have never ever seen before. Let’s have a kind of detailed discussion on different angles and aspects of this great pallet wood creation. As we said earlier that the shape is going to be all exceptional. So we can clearly see this in here where the top of the bench is pretty conventional with a sleek and smart sitting space. But the base or the bottom of this furniture item is quite unique. It has got an extended triangular shaped leg on both sides which is much supportive to the frame. This is also a kind of embellishment for the said furniture wooden bench. And another thing that must be discussed is that the shipping pallet selection is made very wisely undoubtedly.